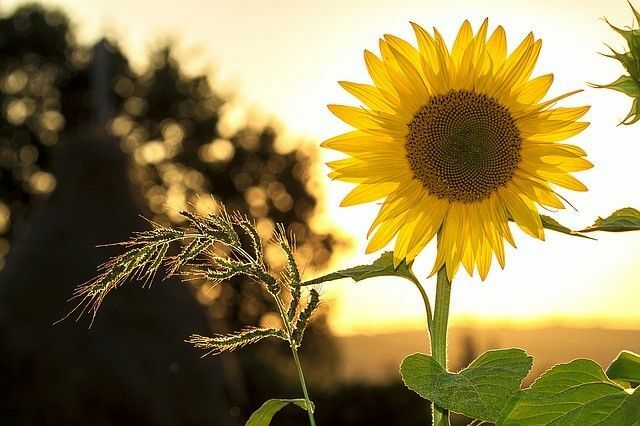 The origin of the sunflower is debatable, but it definitely had its roots in the American continent, where indigenous tribes used it not only for its food and medicinal properties, but also to extract dyes from it and for use as building material. Spanish explorers brought back seeds to Europe and thus contributed to its spread. Rapidly, a method was developed in the eighteenth century to extract oil in large amounts. Nowadays, different varieties of seeds are cultivated for oil production. They are distinguished by their fatty acid composition. The flavour of sunflower oil is less pronounced than olive oil and it can be used at higher temperatures (e.g., for frying). The seeds are an important source of fibre. They are eaten as a snack and in salads, but you can also grind and add them to breads, pancake batter, cakes, etc. Please use sunflower oil to cook our Stir-Fried Tofu with Shiitake Mushrooms. Originally published in the Journal de Montréal on November 8, 2014.